Professional divorce advice comes at a cost. Professional coaching can also feel like a significant investment. Finding a law firm or a solicitor will be easy. Choosing one may be more difficult. Before you read on you need to be certain how you want your lawyer or your coach, for that matter, to work with you. You are the client. You are the person experiencing the drama, the emotion, the stress , the heart ache, frustration, joy or whatever you will go through. Your lawyer isn't. It is not their role to jump into the self pity party with you. Although they may be prepared to sit and listen to everything you have to say about your former partner this shouldn't be the primary focus of your meetings. Save that for your friends and family. The primary focus of your lawyer is giving you the divorce advice you need to protect your interests within the law. The lawyer is not there to listen every minute detail of every argument, indiscretion or outrageous behaviour of your partner. The trouble is, divorce can be emotionally traumatic and the fact that you are talking to someone can be a form of release. Be aware that every time you sit in the lawyers office, discuss a situation on the telephone, or even send an email, your lawyer will probably be billing you. Most solicitors will offer a free initial consultation, so make sure you get the most out of the time you spend with them. Do you need a divorce solicitor? Why do you need divorce advice? Be absolutely clear of your intentions. What is your ultimate purpose in seeking legal advice about divorce? Are you contesting the divorce, or do you agree? Are you fighting over care of your kids (also known as custody battle)? Are you negotiating a financial settlement? Are you seeking or contesting court orders? Are you the petitioner or the recipient? Do you have business interests to protect? Do you need the courts protection from your former partner? The point of divorce is to dissolve the marriage. You have to 'file' for divorce, or 'petition' in the UK, which means you have to submit your case papers to the court. You also have to have those papers formally served on your former partner. Although the legal jargon can seem complex and confusing it is quite possible and acceptable to do this for yourself. In fact, the more you can do for yourself the less your lawyer will be billing for their professional divorce advice. You can instruct your lawyer to "advise you" or you can instruct them to do it for you. Either way, you pay for the lawyers time. Of course some cases are significantly more complex than others. Mainly resolving the financial settlement between you. The more complex, the more valuable your lawyer's advice will be to you. If we could give you any divorce advice now it would be to really consider what you are willing to sacrifice now in order to gain later. You gain your sanity, your life back, your focus and your health. and you could save a small fortune in legal fees. Sometimes the cost of professional advice could outweigh the benefit of fighting for a particular settlement. Its all a numbers game. When you know exactly the value of your joint and individual assets you can begin to consider the terms of your settlement. That is why your ability to negotiate with your former partner will also be hugely valuable to you. You can work out the value of instructing your lawyer throughout the case. The more bitterly contested, the higher the cost. The more agreement, the lower the cost. If for example you want to contest the sale of a the home because there is equity that you want to be released. Work out the likelihood of achieving that settlement, and the cost of your legal fees. Its all about the numbers, and your return on investment. The simple dynamic of the relationship with your lawyer is as follows. Your lawyer does not instruct you. They advise you. You instruct your lawyer, or not. That is your choice. The value of the divorce advice provided is found in the value of protecting your interests. That may be just to make sure you can maintain a healthy relationship with your children, or that you protect your financial interests in future. That could be worth its weight in gold. 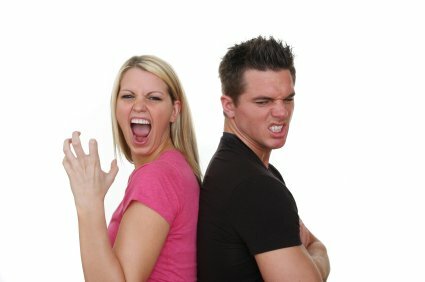 Refresh our break up and divorce advice from the top of the page? Return to Our Break Up Support Centre for links to all our separation and divorce pages.